Hi , I am sravan kumar. 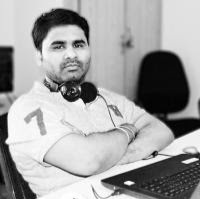 I am a WordPress and Laravel developer. I have passion for education industry that’s why i started this blog to write about different educational opportunities available in India and about Startup and online business opportunities. contact me on my email sravan [at] thecreativebell.com. TheCreativeBell helps Students choose better career, We provide you with List of careers available in India and What Competitive exams you need to crack to get into your desired career or course. And we provide information about Scholarships, Government schemes and how to start a business if you are interested to start your own. In one word we help you choose better career either it is your own business/Startup or Getting selected for a Government job or a private job.